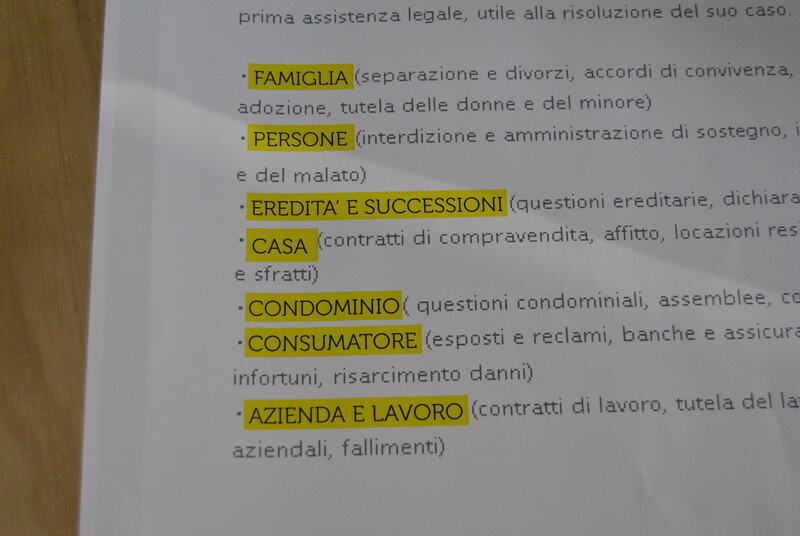 Giovedi 23 maggio abbiamo iniziato ad impostare uno “Sportello del Cittadino” multi-servizio, insieme all’avvocato Mileo ed all’architetto Clara Villani. 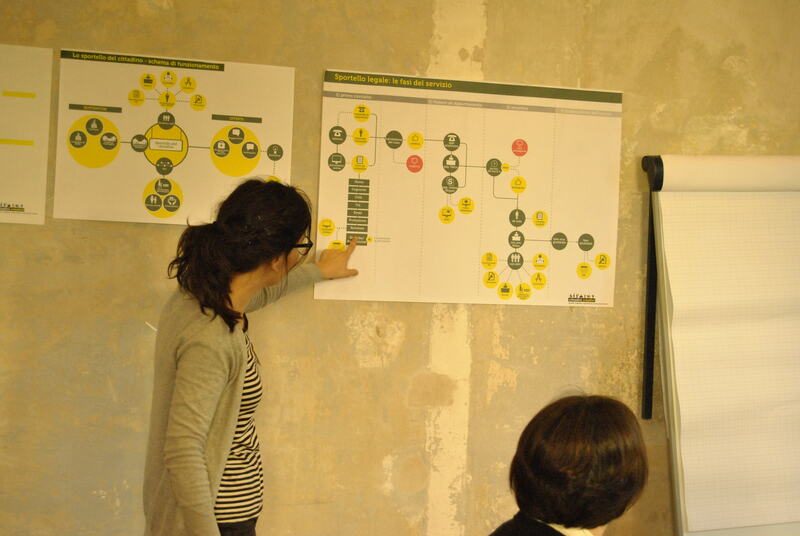 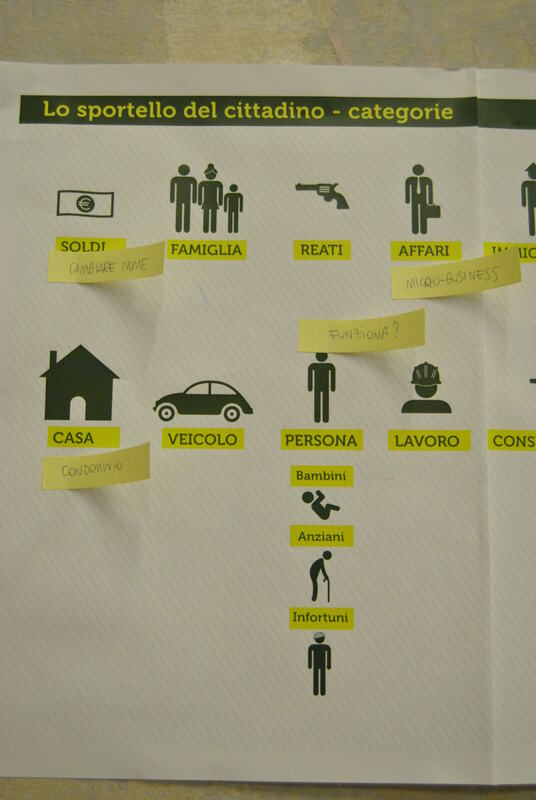 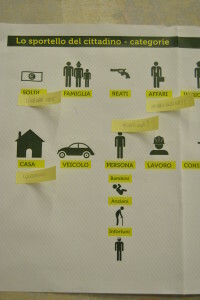 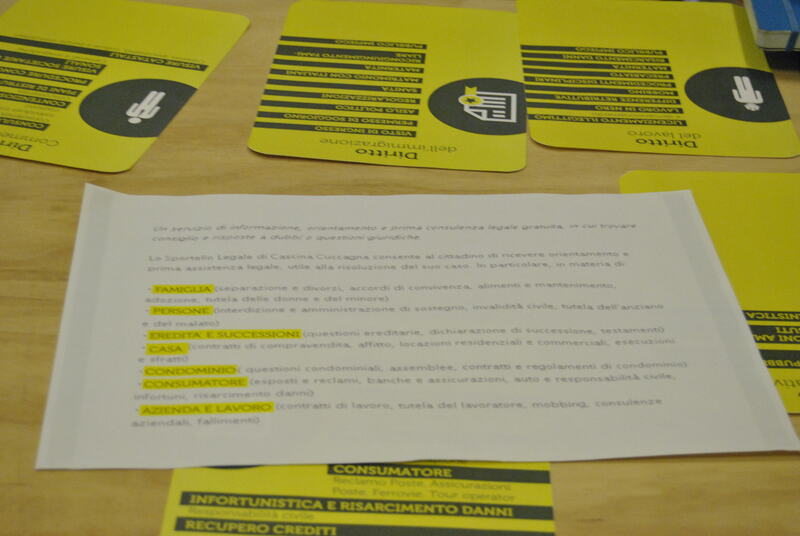 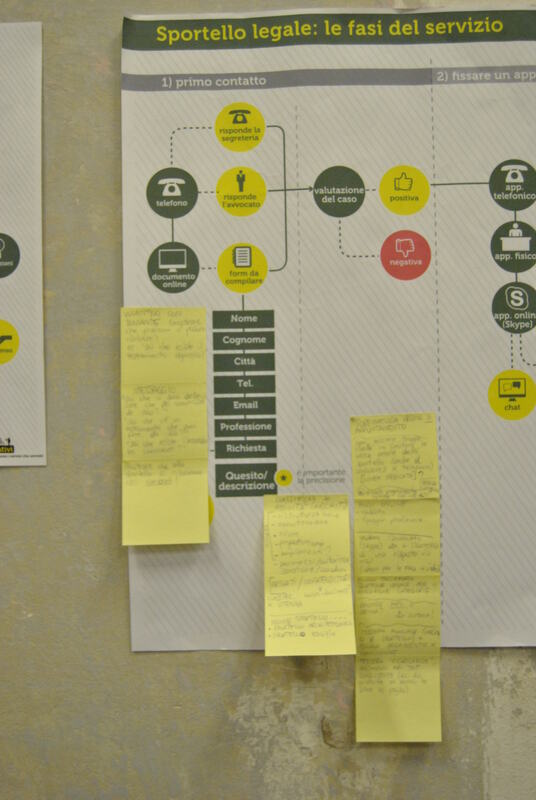 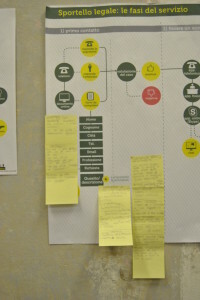 On Thursday 23rd March we started to design a multi-servic “Citizens’ Desk”, together with the lawyer Rossella Mileo and the architect Clara Villani. 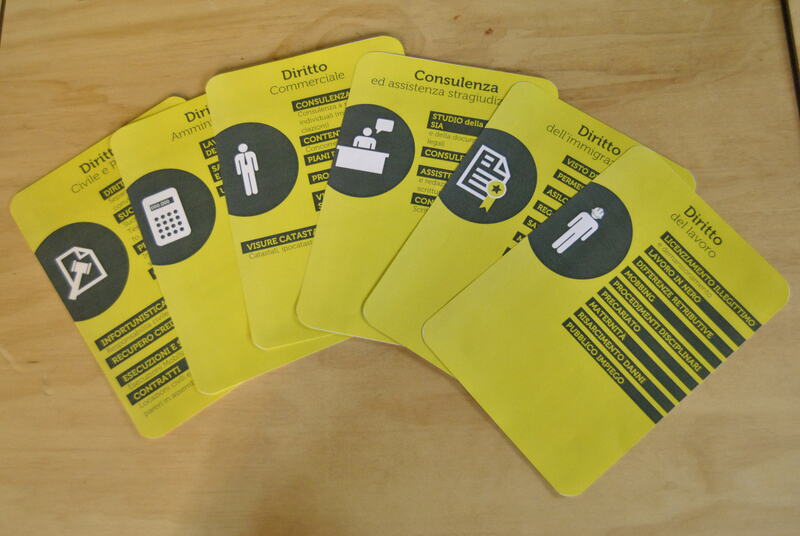 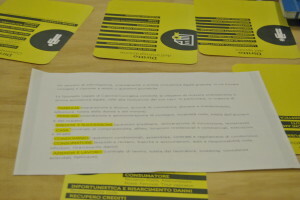 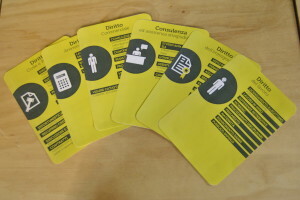 -discussion on the actual Desk problems (we designed a scheme of the stages of the Legal Desk service and we created some “cards” to explain the categorization of the lawyer’s offer).